Countless numbers of articles, and even books, are consistently coming out providing advice on how to best succeed in business. And what with technology exploding exponentially, changing and improving constantly, updates and education on new processes and procedures are critical. Companies that incorporate various new technological advancements can stay on the cutting edge of their industry, helping them continue to succeed and even enjoy greater prosperity. One important variable, though, can often be underestimated or perhaps even overlooked altogether. The ever-important business-customer relationship, an element often difficult to quantify, can often be adversely affected. Superior customer service can help a company vault to the top of their industry, while poor customer service can take a company completely down. With this in mind, establishing and maintaining an extraordinary call center should rank among the company’s highest priorities. Attracting new business is, of course, critical to the success of the business. And equally critical to business success is providing superior customer satisfaction. Getting the customer’s business does little good in the long run, and is in fact very detrimental, if the company cannot satisfy the customer. Losing customers to competitors because of poor customer service will result in business from that customer being lost forever. Word gets out very quickly about poor customer service. When enough potential customers hear about inferior services provided by a company, they won’t even bother to patronize that business. This is one of the unquantifiable measures that can ultimately erode the customer base. When this happens, the end for that company is near. Call centers are really at the heart of the customer experience, and are in fact the only direct contact customers may have with companies. This may perhaps be the one “make or break” contact the business has with the customer. 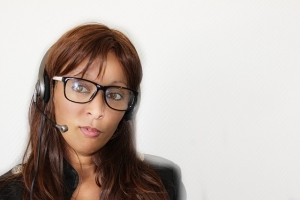 Satisfying the customer through a positive call center experience can prove to be critical to keeping that customer. Companies that recognize the importance in call center quality assurance will bring in a company that specializes in this field. A company that can integrate industry-leading technologies into fully-customizable programs for each individual customer. Sage Advantage fully recognizes that customers that call companies are, quite frankly, sick and tired of spending too long calling for assistance. Whether it be having to go through seemingly endless menu options in an automated system, or speaking to barely understandable foreign call center reps, they’ve had enough of it. Sage Advantage will put callers in contact with clearly understandable live professionals. Representatives that can assist quickly and efficiently, taking all measures necessary to provide complete customer satisfaction. Attempting to identify potential problems before they occur, they take proven steps that aid in operational processes. Establishing reliable service performance measures, they measure customer satisfaction on a constant basis. They utilize more than just advanced engineering and technology in their programs. Helping to improve decision making, they incorporate disciplines of psychology into the specific business plan. If you are in need of call center quality assurance for your company, contact Sage Advantage today. They can help you go great lengths to keep your customers completely happy and satisfied. We also offer a cloud based program called Evaluate Quality™. Learn more here.